The garage door is the largest moving part on your property and perhaps the hardest working, being raised and lowered an average of four times per day. And, like any other area of a rental property, it requires regular maintenance and repair to keep it in good working order. June has been designated Garage Door Safety Month, and garage door manufacturer Clopay Building Products wants to spread the word that summer is a good time to perform safety inspections and tune-ups on garage doors. ¢ Check that the door opens and closes smoothly. If not, the springing system may need to be adjusted or replaced. ¢ Look for loose brackets on the garage door. Because they are under tension, they can cause serious injury if loosened or removed. ¢ Gauge the age of your garage door springs. They, too, are tightly wound and can cause damage or injury if they wear out and break. ¢ Check for any frayed or worn cables. ¢ Make sure the opener„¢s automatic reversal is working. To test a garage door opener, place a roll of paper towels under the door, and lower it. When the door hits the towels, it should reverse. If it doesn’t, have it checked. ¢ Teach children about garage door safety. Place the control switch for the garage door opener at least 5′ above the floor so that small children can’t reach it; remind them that the garage door opener is not a toy. 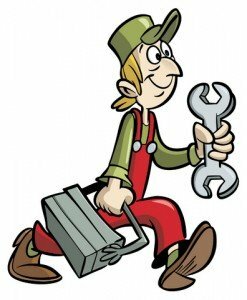 An annual visit from a trained garage door technician can keep your door operating safely and smoothly. For more garage door safety and maintenance advice, visit www.clopay.com.